Serviced offices are available in an ideal location at the centre of Bath. They are offered on flexible all-inclusive terms, and additional services such as secretarial support can also be purchased. In the centre of Georgian Bath this Grade I listed building is a 10-minute walk from Bath Spa train station and offers a range of distinctive, individual and fully furnished offices. The offices full of character in a picturesque location next to Queens Square. Bath has excellent attractions and stunning landmarks including The Roman Baths and the magnificent Royal crescent. There are fine places to eat and drink as well as various hotels. 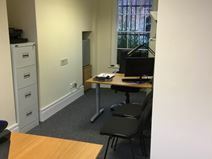 Located in a historic building at the heart of a historic city, this business centre has a range of furnished offices available with character. Bath is a city with a host of attractions and landmarks, including the fabulous Roman Baths and the magnificent Royal crescent. On-site, this Grade I listed building has access to kitchen facilities as well as IT support. Bath is well connected, with excellent rail services running from Bath Spa station. 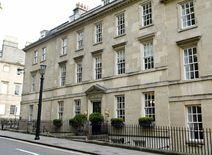 Located just down from The Circus in Bath's city centre is this Grade I listed building, offering fully furnished offices on flexible terms. The rent is fully inclusive of all bills, business rates, cleaning costs, teas and coffees. There are kitchen facilities on site for tenants use. Bath Spa train station is within walking distance, only 15-minutes away. There are a multitude of eateries, drinking holes and retail nearby to explore after hours. From one workstation spaces to spaces that can accommodate up to 17 desks this new business centre provides fully serviced options that are centrally located with great access to the A3039. An on-site management team are available to assist with your business needs. This centre offers a unique opportunity to work every day at a famous racecourse. The centre prides itself on its collaborative spirit and regular networking events - offering a perfect chance to make high-calibre connections with events such as breakfast seminars, charity dinners and many other opportunities. 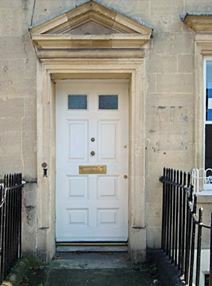 The centre is based in Lansdown, in the rolling countryside between Bristol and Bath. Bath and its railway station are just a 19-minute drive, the latter offering easy convenient access to London Paddington and other locations. These modern, serviced offices are only a 10 minute walk from the heart of Bath. The offices are fully furnished and a range of support options are available to purchase as well as reserved parking. The site has easy access to public transport and public parking is available nearby. 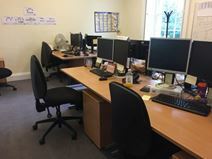 Based in an idyllic Grade I listed building in the heart of bath, this centre offers a great flexible, affordable workspace option, ideal for a team of around eight. The office comes with great views from the windows, and a great location to match. Key attractions within Bath, such as Queen Square and the Victoria Art Gallery, are just moments away, and Bath Spa train station - with direct access to London Paddington - is only a 10-minute walk away. 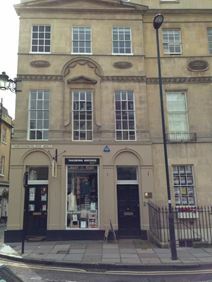 These offices are in a stunning Grade II listed Georgian building just minutes from Bath's city centre. The rental price includes all utility bills, cleaning services, tea and coffee. The building has large windows and shared kitchen facilities. Kingsmead Square is just down the road, offering an array of amenities including a local farmers market. The area is well served by public transport, with bus stops just a short walking distance away. 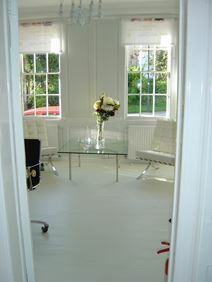 A range of fully furnished office suites are to let, accommodating up to 12 people, with rental inclusive of utilities. The offices have been refurbished to provide modern and superior work spaces with 24 hour access. Business and secretarial support is available along with access to meeting rooms and kitchen facilities. Situated in the centre of Bath, there is excellent access to shops and restaurants as well as public transport and parking. 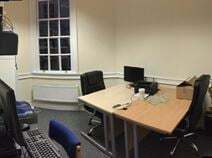 These ae high quality offices are offered for rent in the centre of Bath in a variety of sizes, accommodating a maximum of 8 people. Convenient for shops and public transport, the offices come with access to meeting and kitchen facilities. Bath Spa Railway Station provides a regular service to London Paddington, taking around 90 minutes, and Bristol airport can be reached by road in under one hour. Based in the centre of Bath's professional district, this property benefits from excellent transport links as well as great on-site amenities. These include a dedicated meeting room, kitchen facility and mail handling. The property itself is a stunning Grade II listed building that is home to several private offices. Rent is inclusive of all major office costs such as utilities, cleaning, coffee and tea. Bath Spa railway station is just a 12-minute walk. 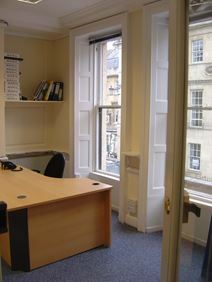 A number of office suites are available in superb accommodation in the centre of Bath. Spaces can accommodate up to 10 people, although leases can be for multiple suites. Secretarial and virtual office support is available if needed, as well as a number of facilities including meeting rooms and parking for bicycles. There is excellent access to shops and public transport, and public parking is a short walk away. 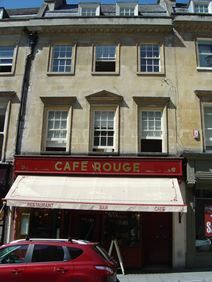 This centre, situated in Bath"s historic conservation area offers serviced offices, co-working, and virtual offices. Meeting rooms of all sizes are available to use and easy to book online or by phone, many with stunning views over the city. The centre also offers administration support, networking opportunities, breakout areas, reliable Wi-Fi, and free tea and coffee to keep you going throughout the day. These offices are located on the upper floors of a stunning Grade 2 listed building just off Queen Square. The offices come fully furnished and on flexible terms and tenants have access to the kitchen facilities that are onsite. This building has great transport links, with Bath Spa train station only ten-minutes away on foot and popular bus routes on the doorstep. Bills are inclusive of all major office costs.